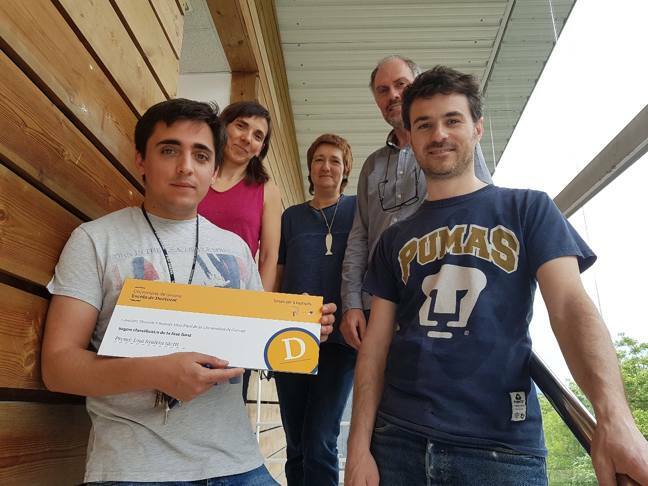 On 22ndMay 2018, Albert Artigas, a PhD researcher of the Institute of Computational Chemistry and Catalysis (IQCC) working in the DiMoCat group won the second prize of the contest “your thesis in 4 minutes” held at the University of Girona. Albert delivered a brilliant informative lecture entitled “photovoltaic energy”. The PhD thesis of Albert, supervised by Prof. Dr. Anna Roglans, Prof. Dr. Miquel Solà and Dr. Agustí Lledó, deals with the [2+2+2] reactions on fullerenes and endohedral metallofullerenes. The goal is to generate compounds that could be potentially useful in photoelectronic devices.